Used on a daily basis to prepare those delectable dishes, desserts, and breads at many food service establishments, commercial ovens are a necessity for most restaurants, cafeterias, bakeries and the like. And, in general these appliances are designed to have the power and capacity to cook or heat large quantities of different food stuff all at once and cook or heat those items in a timely manner. 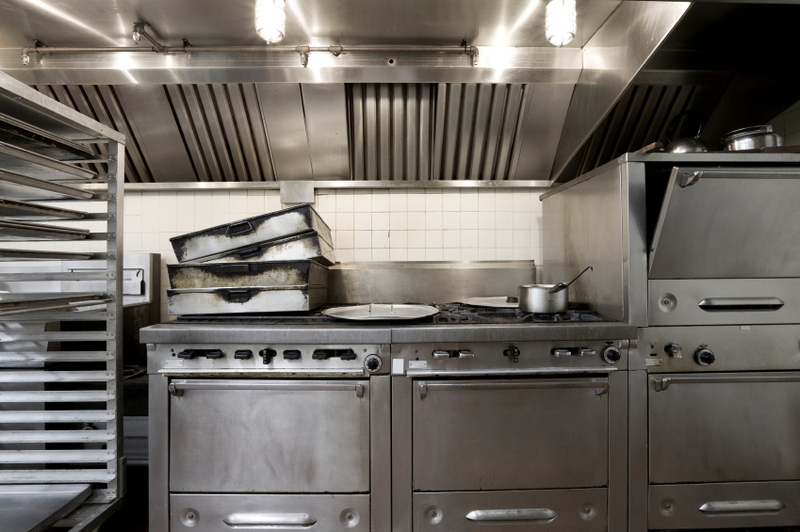 Available in a variety of types, for example pizza ovens, combination ovens and deck ovens, commercial ovens can accommodate a number of food service industry needs. Most commercial ovens cook by convection and are powered by electricity, gas, or wood. Most commercial ovens bake by convection as opposed to conventional baking, meaning that even though both convection and conventional ovens work with a radiating heating element, convection ovens use a fan in addition to the heating element. Use of the fan enables foods cooked in a convection oven to cook more evenly and more quickly than is normally possible in a conventional oven, making convection ovens especially popular with bakers and chefs. The type of oven your establishment uses, pizza, combination or deck depends upon the type food you plan to serve and the particular needs of your kitchen. For instance a pizza oven is a particular type of commercial oven which can quickly cook foods and pizza at high temperatures. Most often having the look of a regular oven, pizza ovens sometimes incorporates a conveyor belt in its design to allow an operator to control the amount of time food is subjected to intense heat by controlling the speed of the belt. Many restaurants use pizza ovens to not only cook pizza but to cool large cuts of meat and quickly defrost frozen foods as well. Pizza ovens can be stacked one on top of another, providing vertical space efficiency as well as allowing kitchen staff to use multiple types of ovens all at once. However, don’t arbitrarily stack ovens in your kitchen without first checking with the health department for any safety regulations that may need to be complied with for stacking. Combination ovens are commercial ovens that provide you with options as too how to cook foods, either by steam, convection or both at once. Consequently, commercial combination ovens allow chefs to prepare and cook meats, potatoes, and vegetables all at the same time, with each food being cooked evenly. If you plan to cook foods with varying flavors, you’ll want to look at commercial combination ovens that hinder the transfer of flavors from food to food. As for whether to use a gas-powered of electric-powered oven, your choice is sometimes dictated by the utility services available in the area where your establishment is located. For the most part, the majority of cooks prefer gas-powered convection ovens as gas heats an oven quickly, makes the temperature of your oven controllable, and keeps utility expenses down. Electric-powered ovens take longer to achieve the temperature you want and aren’t typically as energy efficient as gas ovens. And, wood-powered ovens are usually chosen for the heating of dishes that require a unique flavor that only wood can obtain and are primarily used in pizza making.